A rubberised sealant specially developed for repairing leaking gutters, down pipes and flashings. Provides a permanent water resistant and weatherproof seal. 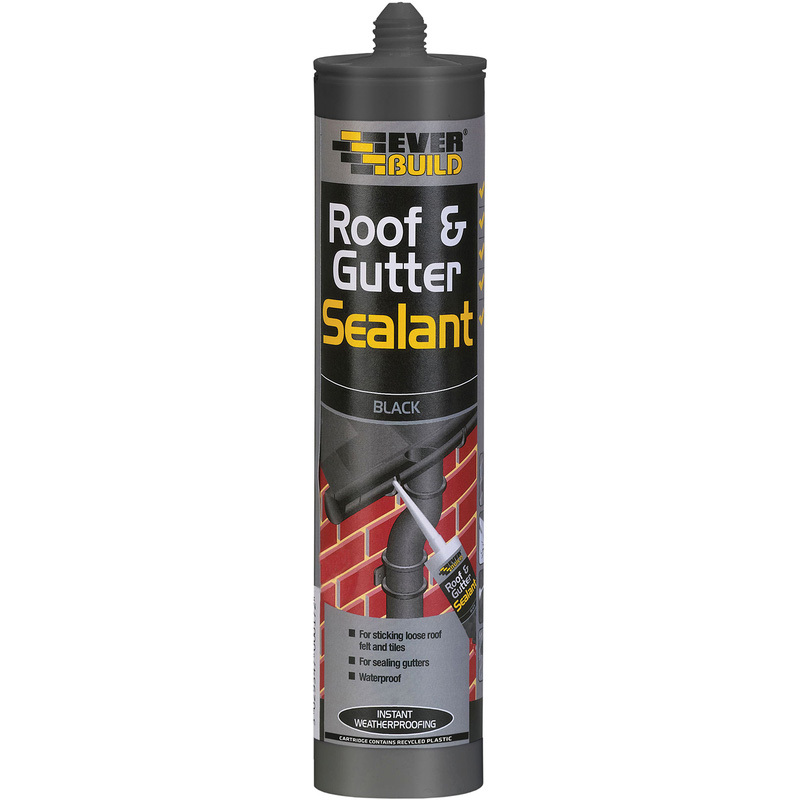 Roof & Gutter Sealant 300ml Black is rated 4.8 out of 5 by 12. Rated 5 out of 5 by Pablo25 from Perfect Fit I needed a sealant on a flat roof, this product was easy to use and perfect for the task. Rated 5 out of 5 by Blacksheep of The Frozen from Sealant black easy to use Used the sealant to fix my leaking shed roof, with new felting, instead of using galvanized nails, brilliant, fixed the leaking roof and very easy to use, a great product. Rated 3 out of 5 by Bamb from Ok but not brilliant I used this to fill a gap between flashing and a roof tile. Also to point underneath ridge tiles. It doesn’t adhere particularly well to roof tiles ( even though I was careful to ensure there was no loose material or dust to impair adhesion). If it’s pressed into place with a filling knife etc it will stick - but didn’t expect to have to work it in such a way. Probably works ok on plastic guttering but wouldn’t use it again on roof tiles.